Hilda “H.D.“ Doolittle (September 10, 1886 – September 27, 1961) was born in Bethlehem, Pennsylvania, in 1886 and moved to London in 1911, where her publications earned her a central role within the then emerging Imagist movement. 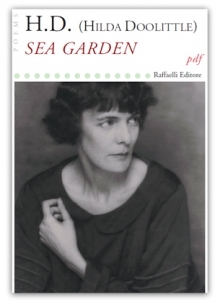 A charismatic figure, she was championed by the modernist poet Ezra Pound, who was instrumental in building and furthering her career. 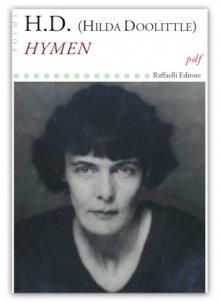 From 1916-17, she acted as the literary editor of the Egoist journal, while her poetry appeared in the English Review and the Transatlantic Review. During the First World War, H.D. suffered the death of her brother and the breakup of her marriage to the poet Richard Aldington, and these events weighed heavily on her later poetry. Glenn Hughes, an authority on Imagism, wrote that ‘her loneliness cries out from her poems’. She had a deep interest in Ancient Greek literature, and her poetry often borrowed from Greek mythology and classical poets. Her work is noted for its incorporation of natural scenes and objects, which are often used to emote a particular feeling or mood. First edition: The Egoist Press, London 1921. First edition: Constable and Company LTD., London 1916.